Long Lake Estates is a prestigious gated community situated along the "Millionaire Mile" in West Boca Raton, FL. Nestled in a tropical waterfront enclave amongst cascading waterfalls, beautiful tree-lined streets, and pristine lakes, Long Lake Estates offers tranquil luxury living at its finest. Long Lake Estates consists of 117 custom-built estate homes, each resting on oversized 1+ acre lots surrounded by breathtaking colorful foliage. Long Lake Estates offers the perfect blend of elegance, luxury, exclusivity, and sophistication in a private, peaceful setting in the heart of West Boca Raton, FL. If Long Lake Estates sounds like the perfect place to call home, you may also want to visit similar luxury communities in Boca Raton, including Fieldbrook Estates and Le Rivage. 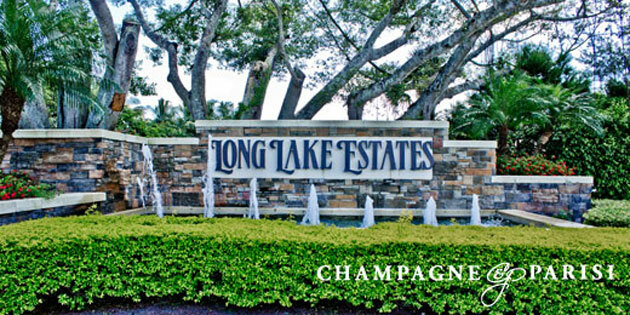 If you would like to learn more about Long Lake Estates or any of the surrounding luxury home communities in Boca Raton, please contact us at 561-998-9015. You may also reach us by completing our simple online contact form provided below, and one of our expert agents will promptly reach out to assist you. We at Champagne & Parisi Real Estate look forward to assisting you in finding your next dream home in Boca Raton!